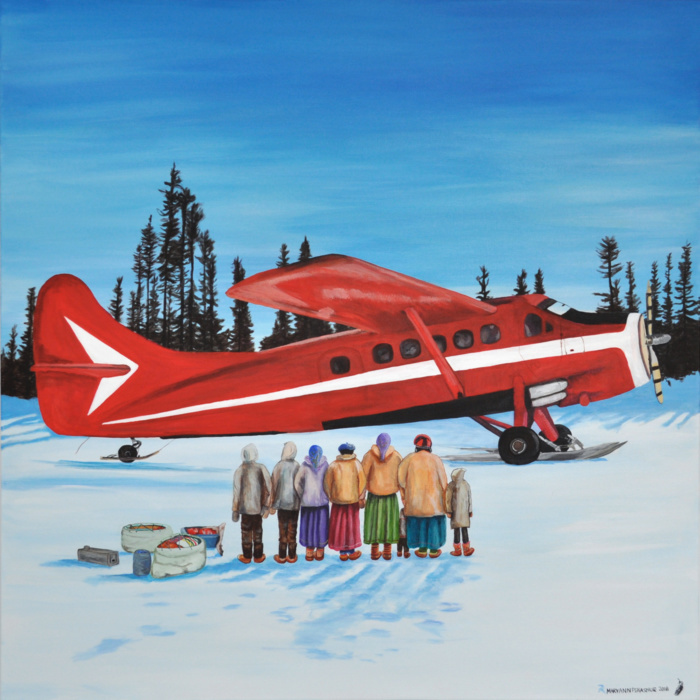 Mary Ann Penashue is an Innu artist born in 1964 in Birch Island near Goose Bay, NL. She resides with her husband, children and grandchildren in Sheshatshiu, Labrador. 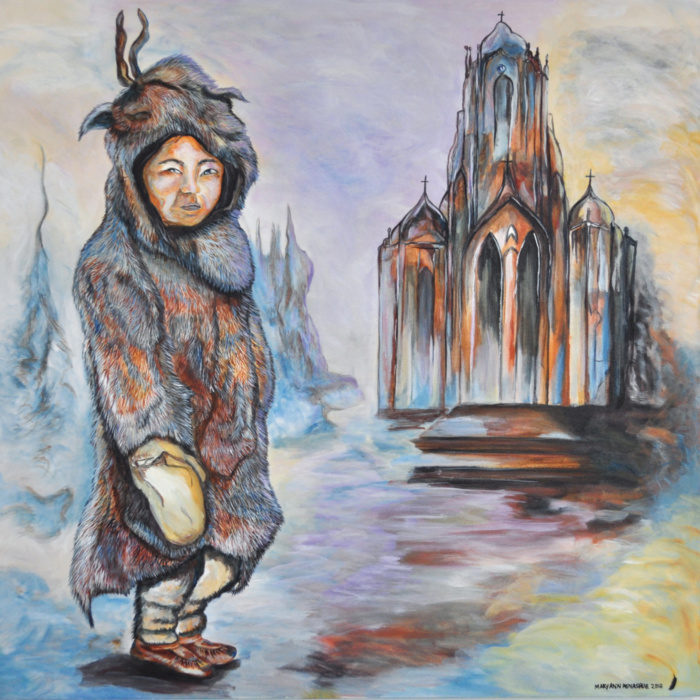 Raised by her grandparents in a small village called Mud Lake, Mary Ann learned from them Innu culture and traditions. Her earliest memories are of being tucked into her bed amongst the spruce boughs in the traditional Innu tent and watching her grandparents drum and dance by the light of the fire. The ritual, she recalls, reflects the thanks Innu gave to the creator for the bounty provided by the land and animals. 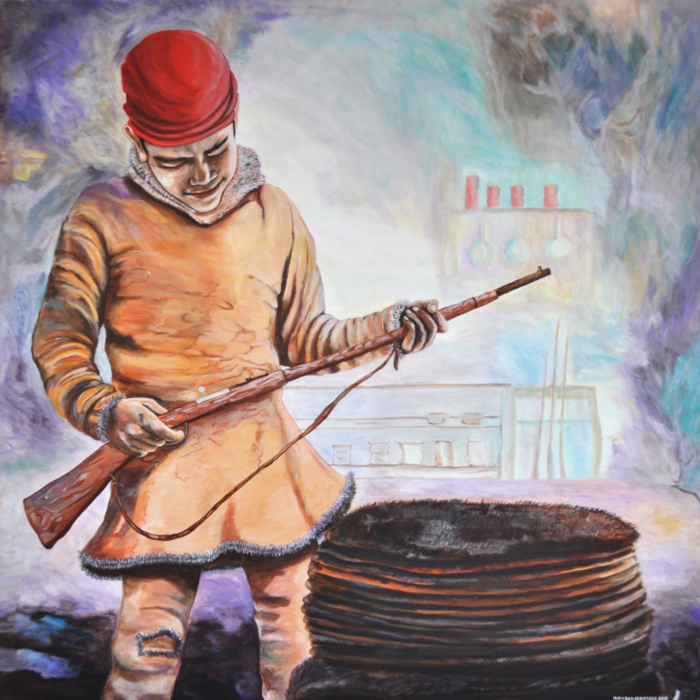 In 2007 Mary Ann was named “Emerging Artist of the Year" by the Newfoundland and Labrador Arts Council. 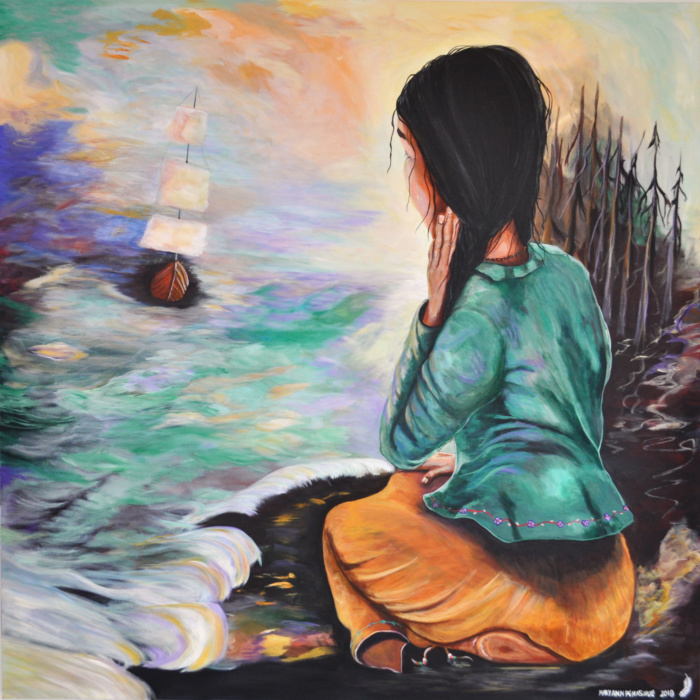 In 2011, Mary Ann was accepted into the Ottawa School of Art Fine Art Diploma program graduating in 2016. 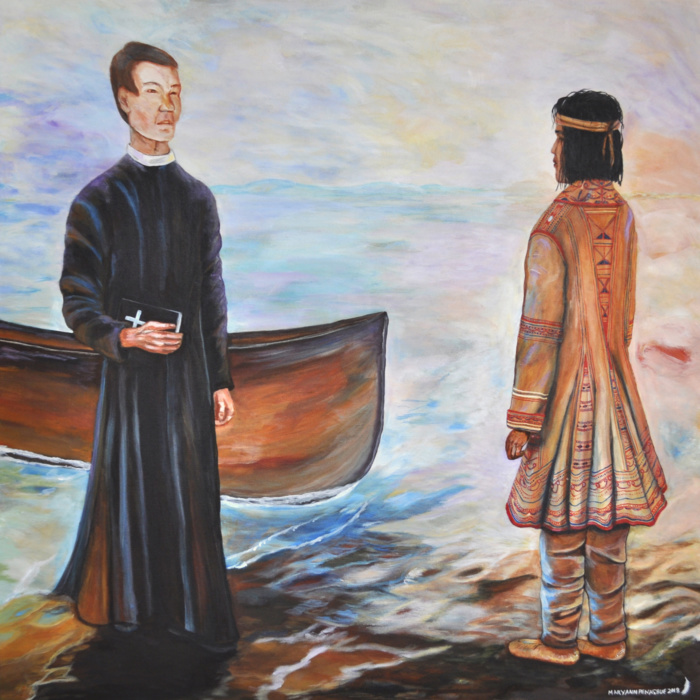 Mary Ann has been commissioned by several Aboriginal organizations throughout Labrador and Quebec to paint images of Tshenut, and has immortalized the faces of the Elders in approximately 500 art works. 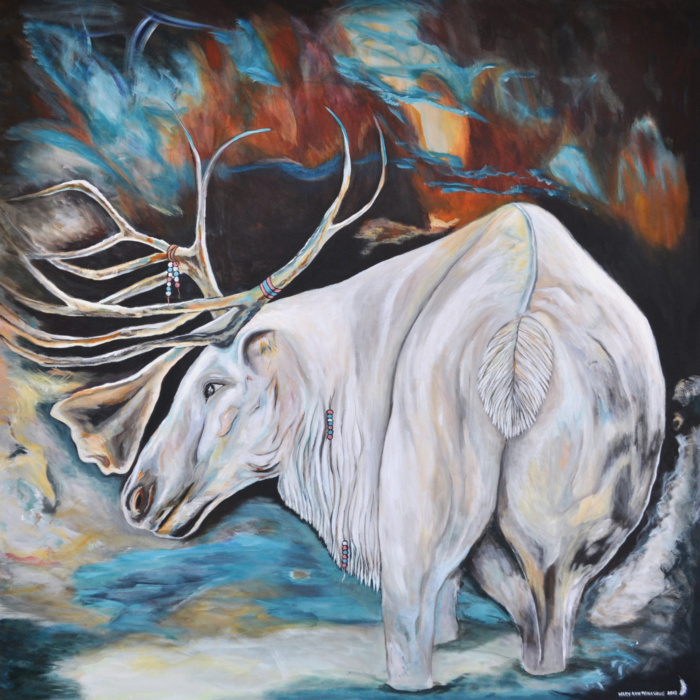 Her work has been exhibited and collected throughout Newfoundland and Labrador, Quebec and Ontario and she has been show-cased at the Northern Lights Show in Ottawa.